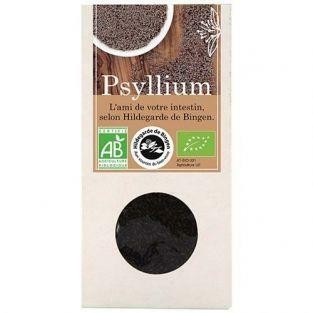 Very useful to combat constipation and also recommended if alleviates diarrhea, psyllium is not absorbed by the body and become the best friend of your intestines seed. 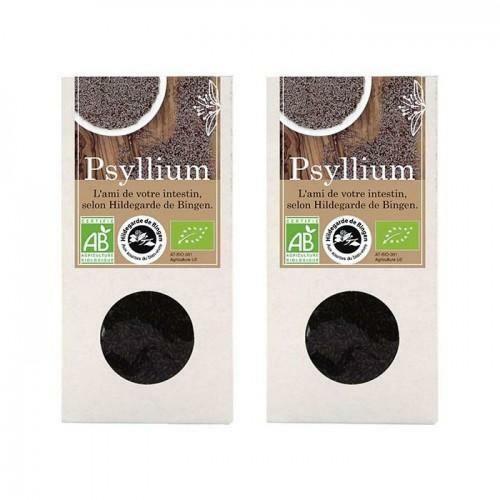 Very useful to combat constipation and also recommended if alleviates diarrhea, psyllium is not absorbed by the body and will become the best friend of your intestines seed. 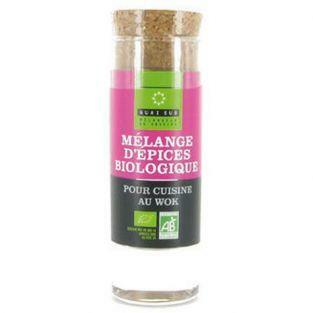 Psyllium is not absorbed by the body seed. It is waterlogged and form mucilage with only méanique effect. 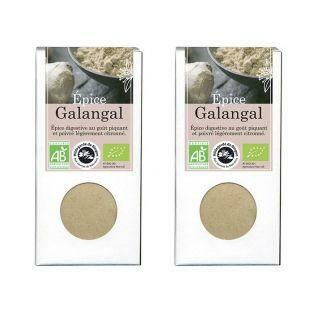 Psyllium forms a gel in the intestions, increasing stool weight, improves consistency and accelerates transit. 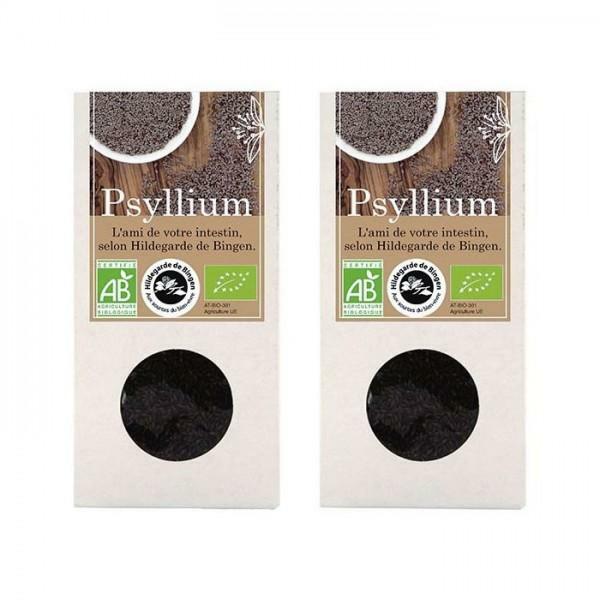 Psyllium is widely used to combat constipation, it is often more appreciated than other laxatives because it causes less bloating and flatulence than other plant fibers. 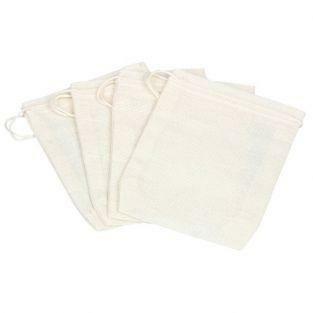 It is also recommended if alleviates diarrhea, where it rapidly absorbs water in the stool. 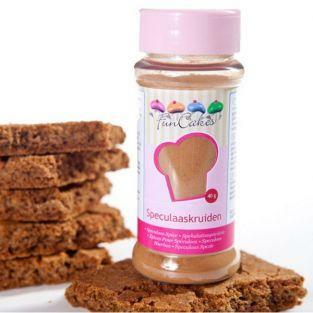 Directions: Swallow a tablespoon of psyllium. Drink on at least 1/4 liter of water. 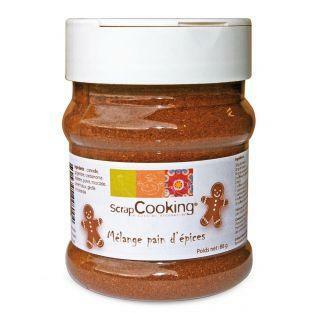 Or mix directly into your soups, sauces and dairy products. The seed growing by 5 to 6 times its volume and mucilage are formed. 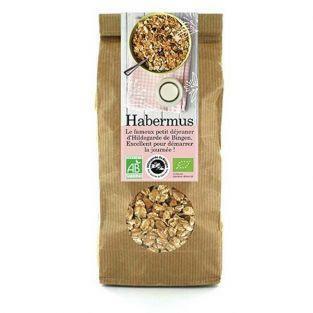 You can also use it as a thickener in your kitchen. For best laxative effect, it is often necessary to make a psyllium cure for 2 to 3 consecutive days. 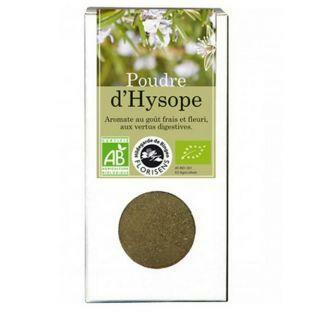 Ingredients: * Psyllium (Plantago afra) * Product of organic farming 2 boxes of 100 g, 200 g net. 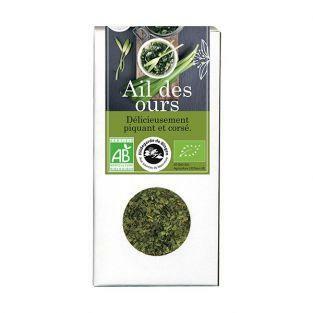 Hildegard of Bingen Hyssop will soothe your respiratory system (throat, pharynx, vocal cords) and give your cooking preparations a fresh and aromatic note. The Galangal is a digestive spice, by Hildegard of Bingen, which tastes slight lemony pepper and helps you improve your intestinal transit and digestion. 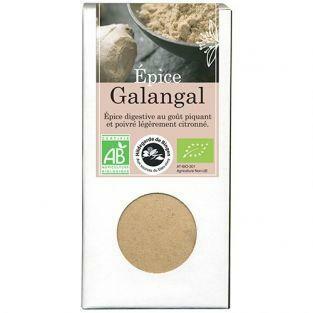 The Galangal is a digestive spice, Hildegard of Bingen range, the taste and slightly lemony pepper, which will help you improve your bowel and digestion. 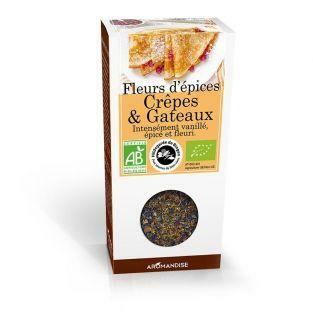 Perfume your pastries with the mixture of Organic Spice Flowers for pancakes and Aromandise cakes, based on blueberry and sunflower flowers, spices, vanilla and cinnamon! 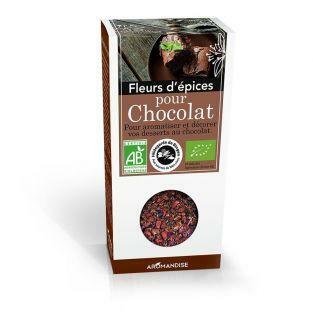 Perfume your hot chocolate or chocolate pastries with the blend of Organic Spice Flowers for Aromandise Chocolate, based on strawberry pieces, pink pepper berries, pieces of raspberry, coriander and vanilla! 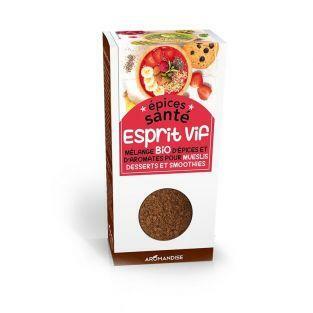 70g of Esprit Spicy Healthy Spice blend to overcome tiredness with cinnamon, cardamom, nutmeg and orange pieces for a tonic effect! 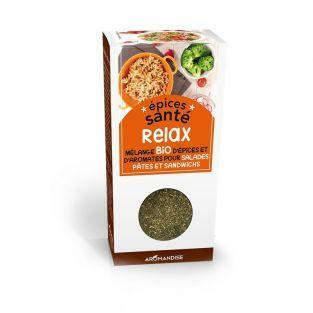 35 g of Relax Health Spice blend to relax and diminish tension with dill, fennel, tarragon and wild garlic, topped with thyme, sage and rosemary. 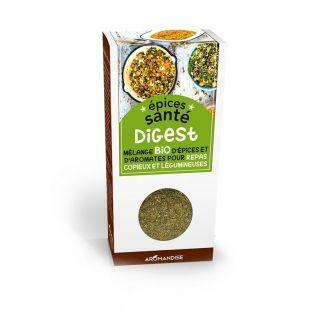 50 g Digest health spice blend for a smooth digestion and assimilate meals with savory and caraway, galangal and coriander.